The tragic new from Boston now suggests that the bombs exploded at the Marathon finish line were constructed using pressure cookers. These two gerrymandered “kitchen” bombs sadly killed three innocent bystanders and seriously injured many, many more. Yet for centuries the pressure cooker has served humanity far more beneficially. In fact, it was from the beginning conceived as a tool to help, not hurt, people. 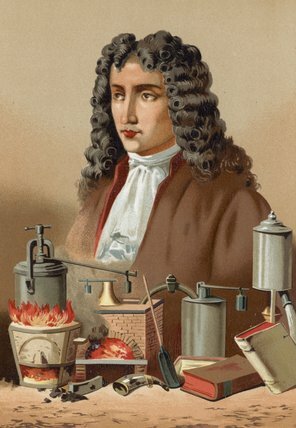 Denis Papin, a French physicist and mathematician, invented the first pressure cooker in 1679. It was called a “digester” because its purpose was to extract nutrition from bones and so to improve the diet of the poor. His invention successfully raised the boiling point of water and at this higher temperature, both softened inexpensive bones and greatly shortened cooking quick time (fuel was expensive and in short supply). Yet its high price made this early model too expensive for the very people it was designed to aid. During the 18th and 19th centuries, the people most interested in the digester were military cooks, men who needed a way to produce quicker and more nutritious meals for the weary soldiers waiting nearby. Just consider the problems posed by Napoleon’s ambitions. His armies ranging from Spain to Russia. Simply forging off the land, as ancient armies had done, was no longery sufficient. Something new was needed and needed fast. 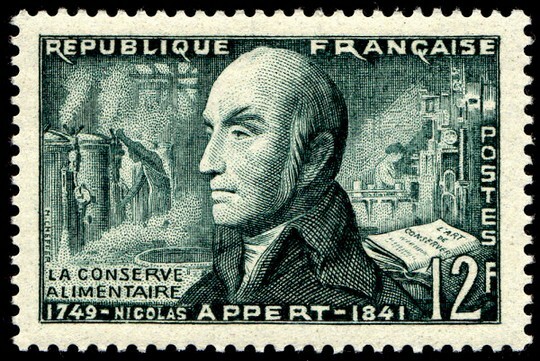 Nicolas Appert, a Parisian candy maker, found an answer, i.e. food in cork-sealed glass jars boiled in hot water, and won 12,000 francs for his insight. By 1810 the Englishman, Peter Durance, moved the process from fragile glass containers to hardier metal cans. In 1813 the first commercial canning factory opened in England. Enter America. After the chaos of the Napoleonic era, many creative entrepreneurs immigrated to the United States including one Thomas Kensett. He quickly established in New York America’s first factory, canning oysters, meats, fruits and vegetables there. Once again, the use of the pressure cooker was clearly understood by many but at $76.85 ($2,040.37 in USD today!) far beyond the budget of most households. As a result, its use was largely commercial. By 1905 these large fifty and thirty gallon capacity cookers had move from commercial canneries to hotels and hospitals. There had been a growing awareness during this period concerning food safety. In 1906 President Theodore Roosevelt signed the Pure Food and Drug Act, setting needed standards for and imposing safety regulations on the food industry. 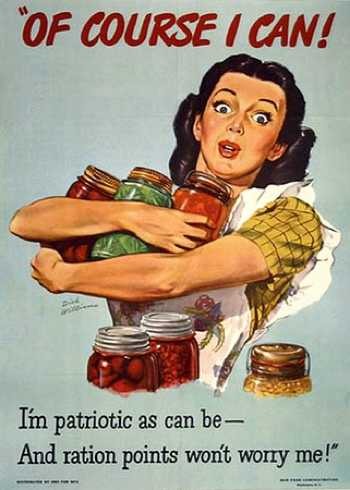 By 1917 the US Department of Agriculture declared that pressure canning (using a pressure cooker) was the only safe method of canning low-acid foods without risking food poisoning. 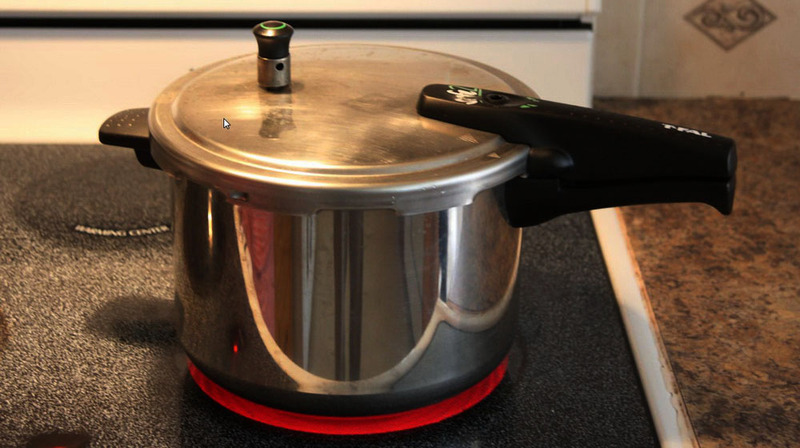 Their statement created an nearly instant market for a mass produce inexpensive pressure cooker. National Presto was the first company to produce a reasonably priced pressure cooker for home use. Bravo and thank you! Three other trends boosted the positive popularity of Pressure cookers: (1) Preserving food during the hard days of the Great Depression, (2) Making the most of rationed foods during World War II, and (3) Renewed focus on healthy eating during the 1960’s. Today, many wonderful new models of pressure cookers are available to the home cook, including rangetop and counter models. Some of the most popular units include Tramontina 18/10 Stainless Steel Pressure Cooker and the Imusa 5-Quart Electric Pressure Cooker. Both models are safe and a great kitchen tool. Sadly, there will always be those who misuse knives and mail and anything else they can obtain to hurt and injury others –including the humble pressure cooker, a kitchen tool only designed with the hope of helping mankind. To prove that point, many, many Boston restaurants are donating services and funds to aiding those injured and in need because of the Blasts – the same restaurants that use pressure cookers day in and day out as they serve food to all who come, no matter their faith, race or gender. That generosity of spirit also includes Krystle Marie Campbell, age 29, a young restaurant manager who died as she stood waiting at the end of the Race to offer her friends water and a welcoming smile. The Industry grieves her loss. Posted on April 17, 2013 by Ana Kinkaid and filed under Boston Marathon Bombing, Chefs, Cooking, Courage, Creativity, Cuisine, Culinary History, French Cuisine, Great Britain, Hospitality Industry, Presidents, Professionalism, Restaurants and tagged Denis Papin Great Depression Food History of Pressure Cookers Military Cooks Nicolas Appert Pressure Cooker Bombs Pure Food and Drug Act Rison Letter World War II Food. Yesterday two bombs exploded near the finish line of the 117th running of the Boston Marathon. To date, three individuals have died and over 176 are injured, many seriously. Over 100 countries were represented in the race as well as runners from every state in the United States. The blasts came four minutes nine seconds after the first runner crossed the finish line, insuring the blast would hit the largest group of athletes and supporters. Those injured included small children and elderly adults, many loosing legs, receiving major head wounds and being struck with 20 or more carpenter nails that the bomb contained. The nearby presence of race medical and police support teams were vital in saving lives and greatly reducing the number of casualties. Yet, among the courage of the first responders and our gratitude that more were not injured, we are left with the question: WHY? Why would any sane person perpetrate such an action? Why kill and injure individuals who were not in a war zone, who were only running in a peaceful event in the tradition of the Olympics. The only answer can be that such actions are only possible by the insane, by those who have lost all connection with anything beyond themselves and exist within a narrow and isolated understanding of our mutual humanity. For what God, no matter what we call that deity, could accept as right the murder and maligning of children? The melting of burning fabric into flesh? The ripping of limbs from bodies? No true deity or faith would justify such things. NONE. Rather only a faith or policy distorted by hate and ignorance could madly, insanely conceive these actions as ‘noble’ or ‘right’. Such actions are neither noble nor right – they are, instead, horrid and so very wrong. After centuries can we do no better than this? Are rocks and stone, gunpowder and flying metal, the only way we can solve our common problems and concern? No great spiritual leader has ever said violence was the path to enlightenment. Perhaps our world’s leaders, as well as each of us, should pause and relook at the sign that Martin Richards, the eight year old child who died tragically in the bombing, held up months before, bearing a universal, yes, universal dove of peace. Posted on April 16, 2013 by Ana Kinkaid and filed under Boston Marathon Bombing, Courage, Leadership, Presidents and tagged Al-Qaeda American Hate Groups Boston Marathon Bombing Boston Marathon Bombing Injuries Dalai Lama First Responders Marathon Tradition Martin Richards Nelson Mandela Southern Law Center Taliban.